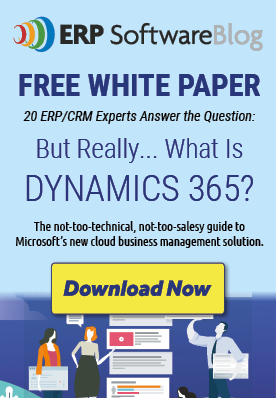 February 2, 2016 by iCepts Technology Group, Inc.
Microsoft Dynamics NAV 2016 has been released with many new features in Enterprise Functionality for Small to Mid-Sized Wholesale Distribution and Manufacturing companies. One of the most exciting new functions is Electronic Document Management. This new enterprise feature allows you to capture and store invoices and credit memos as incoming documents in Microsoft Dynamics NAV, use them to create corresponding purchase documents or journal lines, take advantage of new workflow for approvals, and allow auditors direct access to source documents. As an alternative to e-mailing as file attachments, you can send and receive documents electronically. By electronic document is meant a standard-compliant file representing a business document, such as an invoice from a vendor that you can receive and convert to a purchase invoice in Microsoft Dynamics NAV. The exchange of electronic documents between two trading partners is performed by an external provider of document exchange services. The generic version of Microsoft Dynamics NAV supports sending and receiving electronic invoices and credit memos in the PEPPOL format, which is supported by the largest providers of document exchange services. A major provider of document exchange services is preconfigured and ready to be set up for your company. To provide support for other electronic document formats, you must create new date exchange definitions using the Data Exchange Framework. From PDF or image files representing incoming documents, you can have an external OCR service (Optical Character Recognition) create electronic documents that you can then convert to document records in Microsoft Dynamics NAV, like for electronic PEPPOL documents. For example, when you receive an invoice in PDF format from your vendor, you can send it to the OCR service from the Incoming Documents window. After a few seconds, you receive the file back as an electronic invoice that can be converted to a purchase invoice for the vendor. If you send the file to the OCR service by e-mail, then a new incoming document record is automatically created when you receive the electronic document back. To send, for example, a sales invoice as an electronic PEPPOL document, you select the Electronic Document option in the Post and Send dialog box. From here, you can also set up the customer’s default document sending profile. First, you must set up various master data, such as company information, customers, items, and units of measure. These are used to identify the business partners and items when you convert data in fields in Microsoft Dynamics NAV to elements in the outgoing document file. The data conversion and sending of the PEPPOL sales invoice are performed by dedicated code units and XMLports, represented by the PEPPOL electronic document format. To receive, for example, an invoice from a vendor as an electronic PEPPOL document, you process the document in the Incoming Documents window to convert it to a purchase invoice in Microsoft Dynamics NAV. You can either set up the Job Queue feature to process such files regularly or you can start the process manually. First, you must set up various master data, such as company information, vendors, items, and units of measure. These are used to identify the business partners and items when you convert data in elements in the incoming document file to fields in Microsoft Dynamics NAV. The receiving and data conversion of PEPPOL invoices are performed by the Data Exchange Framework, represented by the PEPPOL - Invoice data exchange definition. To receive, for example, an invoice as an electronic OCR document, you process it as when you receive an electronic PEPPOL document. The receiving and conversion of electronic documents from OCR are performed by the Data Exchange Framework, represented by the OCR – Invoice data exchange definition.